I guess this is Old Home Week at Sketch of the Day. 13 Responses to SOD.056 – HOOO! 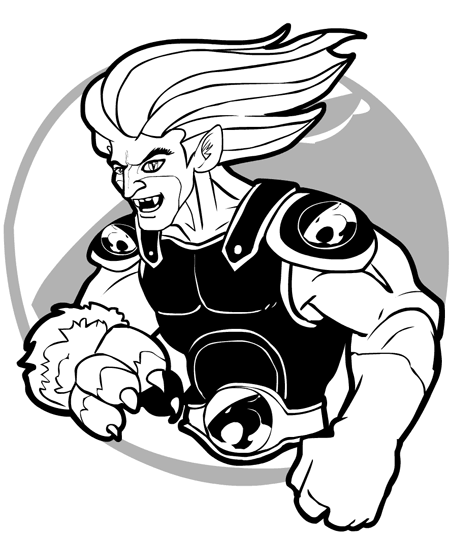 Love the Thundercats!!!! Great work. All we need now is some Masters of the Universe!! Come on Jeff, give us Trapjaw!!! Oh, Masters of the Universe, yeah! To Hell with Masters of the Universe! Let’s see Ultraman! Using the Beta capsule, Hayata transforms into…ULTRAMAN! Hey Jeff, it seems that when you mask an Item to the standard Hand, if the item is to large or far away, it gets cut off. It seems like this is supposed to happen, but on other Hands the cutoff distance is farther. Is it supposed to be this way? I might need to tweak that specific one, Eric. At some point I realized the mask object was too small and greatly expanded it, but maybe I missed that one. Hey, there was a thundercats-like logo in the insignia in 2.5. Will we see it back in 3? Herculoids baby, it’s all about the Herculoids.